The City of New York has invested over $10 billion since the early 2000s on projects to protect and improve water quality in New York’s rivers and creeks. While water quality continues to improve, there are still challenges to address—particularly the pollution that is caused by stormwater runoff. As part of the integrated Stormwater Management Program that the city is developing, the Department of Environmental Protection asked Urban Green Council to convene industry stakeholders to discuss their experiences managing stormwater from construction sites. The goal was to reduce stormwater runoff while adding minimal extra burden to the already expensive and complex process of construction permitting in New York. Looking for a job in sustainability? Present your skills to green leaders in architecture, engineering, real estate and interior design at this year's fair. Catch up with the green building community, meet new colleagues and hear what's coming up for Urban Green Council over drinks and hors d'oeuvres. Are we on track to achieve 80 by 50? To find out, join Urban Green as we demystify trends in energy, water and emissions from NYC’s largest buildings. 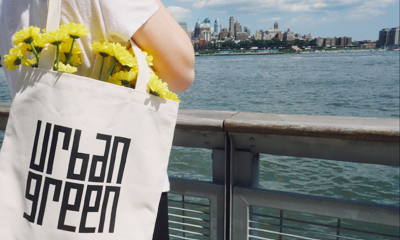 Join us as we celebrate 15 years of Urban Green with New York City's sustainability community over hors d'oeuvres, gourmet food and an open bar. Join Urban Green on an exclusive tour of Farm.One, a year-round indoor Manhattan farm that uses 95 percent less water than a traditional farm. 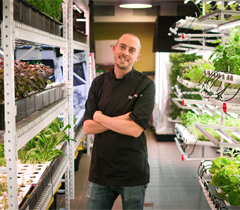 This unique event starts with an introduction to the science behind indoor farming, followed by an opportunity to taste dozens of unusual flavors including rare herbs, edible flowers and microgreens. You will also receive a free gift box containing fresh herbs from the farm. This is a members-only event. 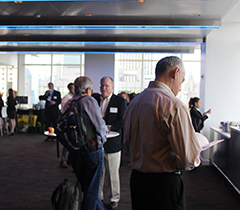 On October 12, the Northeast Sustainable Energy Association will host their annual BuildingEnergy NYC Conference + Trade Show. Not to be missed are three thought-provoking sessions featuring Urban Green's Ellen Honigstock, Laurie Kerr and Sean Brennan. Hosted by the North American Passive House Network, this five-day training program is specifically designed to teach the international Passive House Standard to the U.S. construction industry. Compliance with a series of laws and regulations enacted in recent years can have a significant impact on a property owner’s ability to maintain and operate their building. This seminar will address cost-saving measures and provide updates regarding city policies, such as energy benchmarking requirements, conversions to natural gas, lighting upgrades and more. Looking for a way to familiarize yourself with building electrification before our 2017 Conference? 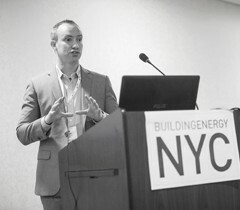 Join AIA New York for an overview of the state of 80x50 today, the transformation to a clean grid and advice for building designers on how to decarbonize designs through electrification.